Our sister site, Your Next Dress, gave us a glimpse of Heidi Klum’s Halloween costume, which she unfortunately did not get to wear because she had to cancel her Halloween party due to Hurricane Sandy. But even in that prep stage, you could already see that Heidi Klum’s costume was going to be epic (like all her previous Halloween costumes). Heidi finally revealed her outfit in all its glory at her one month delayed Halloween party — now named “Haunted Holiday Party” — held at Finale in NYC last Saturday night. 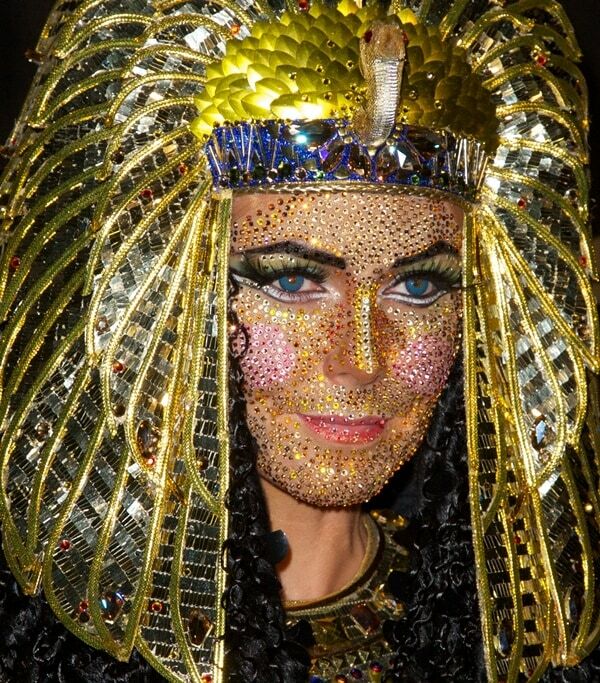 Heidi Klum went as Cleopatra, a typical Halloween costume, but because this is Heidi Klum we’re talking about, she went as a super shiny golden Cleopatra with a face full of sparkly rhinestones. Heidi Klum’s still very on trend even when she’s in costume, we see. 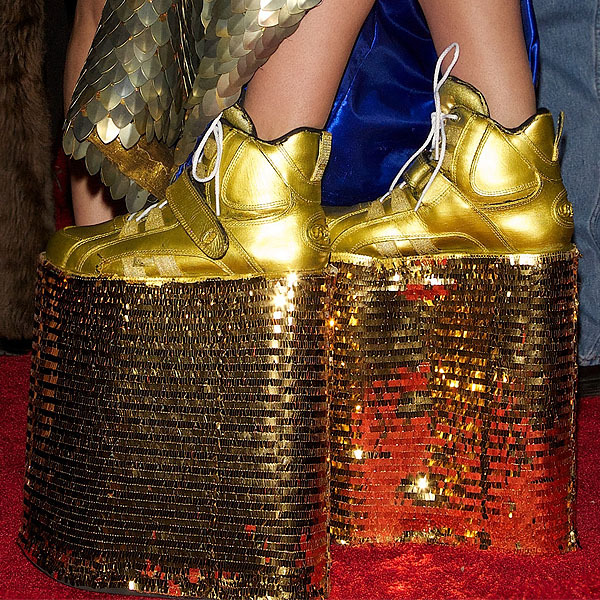 Bets are on on how high the platforms on these sneakers are! 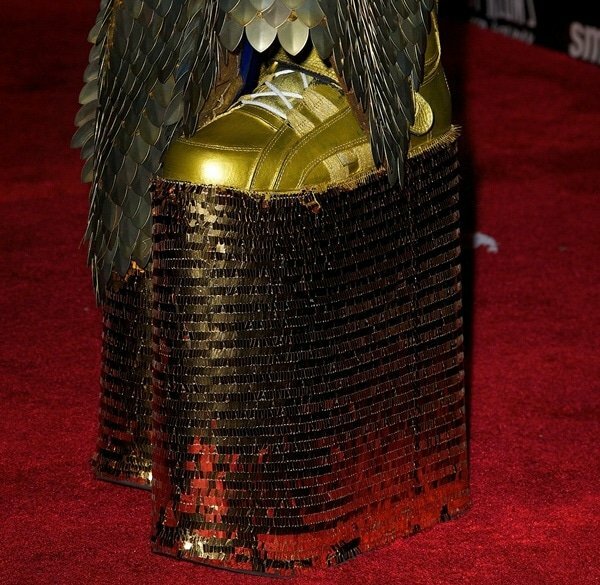 It’s an unusual footwear choice for a Cleopatra costume, but given how all out Heidi Klum was with everything else, we’re on board with these exaggerated platform sneakers. Love ’em or loathe ’em? We want to know!